Sigma Beauty Blog: Holiday Gift Guide - Sigma Beauty Style! 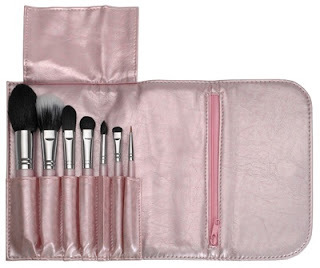 This kit contains all of your go-to brushes for application of cosmetic products to the most precise areas of the face. 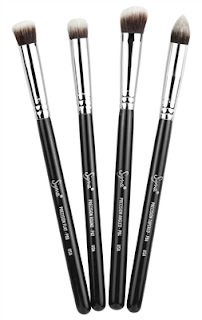 Made of extremely soft synthetic bristles, these brushes are a best-seller and make for a perfect gift! Each of the Sigma Beauty eye shadow palettes contain eight flattering shades and come with an exclusive dual-ended brush. Can’t decide which one to buy? How about all three! Add some glamour to your beauty bag with this stylish brush! The flat and dense top of this kabuki utilizes Sigmax HD fibers, providing a smooth, high-definition application of powder and mineral products. 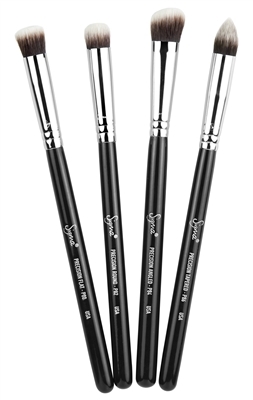 This one-of-a-kind Sigma Beauty product was designed to completely dry and shape your most dense brushes in just four to six hours. 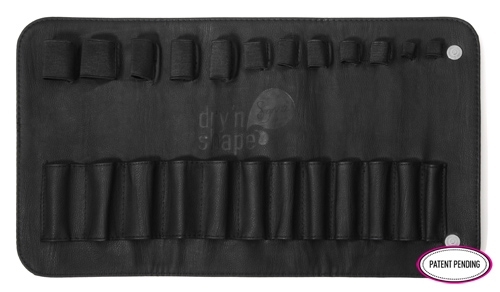 The Dry’n Shape is a must-have item to ensure your makeup brushes get the best care possible! What Sigma product would you love to receive as a holiday gift? the synthetic precision kit of course! Love the Eye Shadow Palettes..
love the synthetic precison kit! I kind of forced my sister to get me the new Bunny Collection haha only 3 days to go...i seriously can't wait any longer!!! I <3 Sigma so much!!! No doubt I'm need of Dry’n Shape! LinasBeautyDiary - Great pick! The Bunny Collection is awesome! Hunter87 - Very exciting! We know you will love what you ordered! ZeaZia and Jannah - The Dry'n Shape is a fabulous tool to keep your brushes in their best shape possible! Highly recommended!